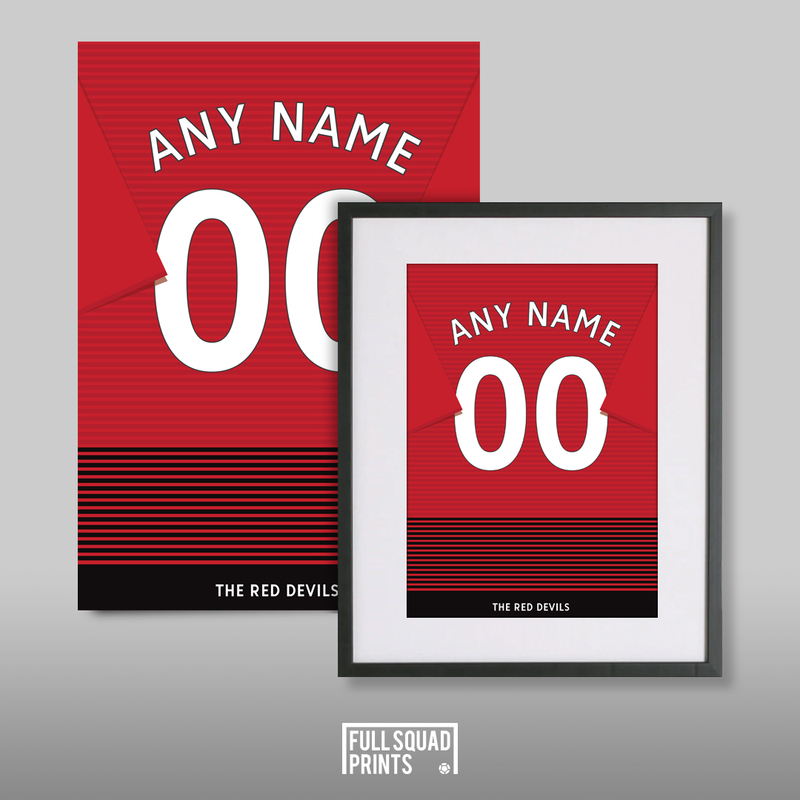 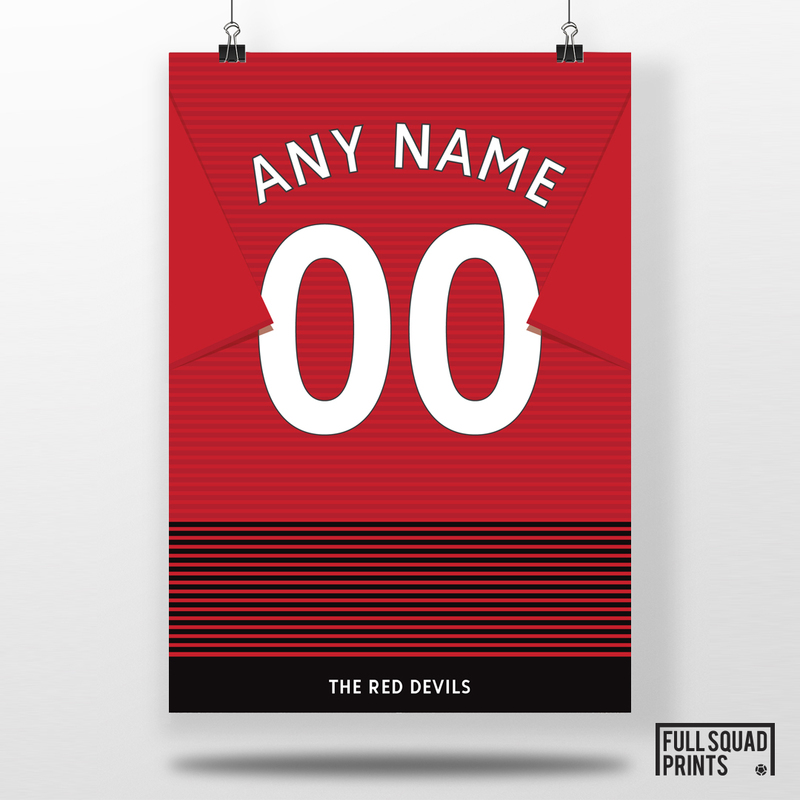 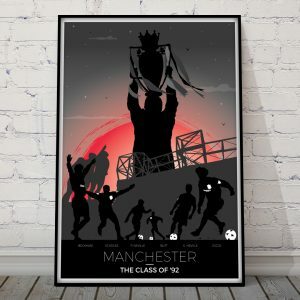 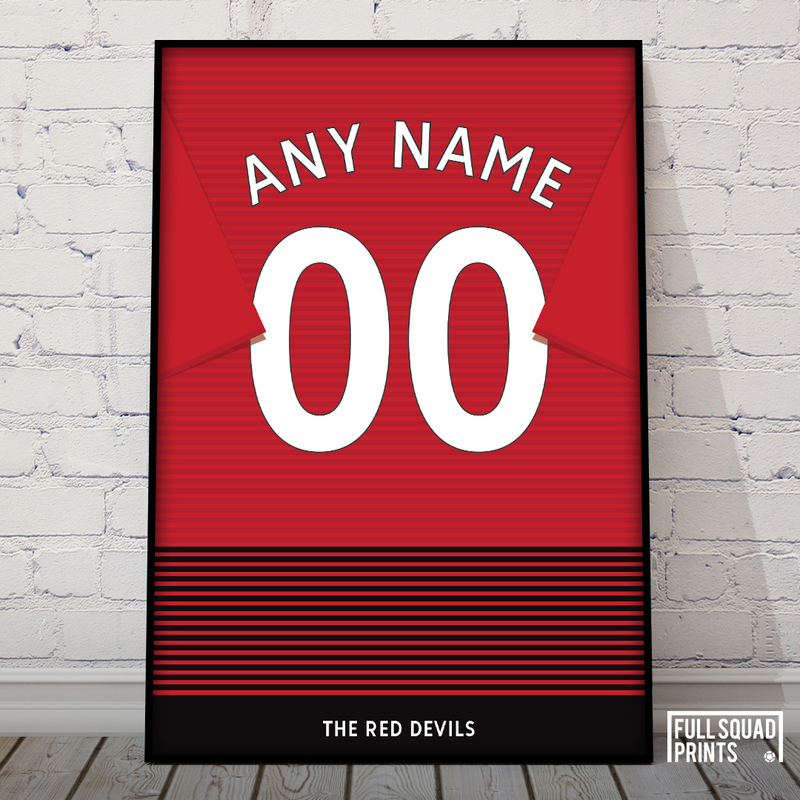 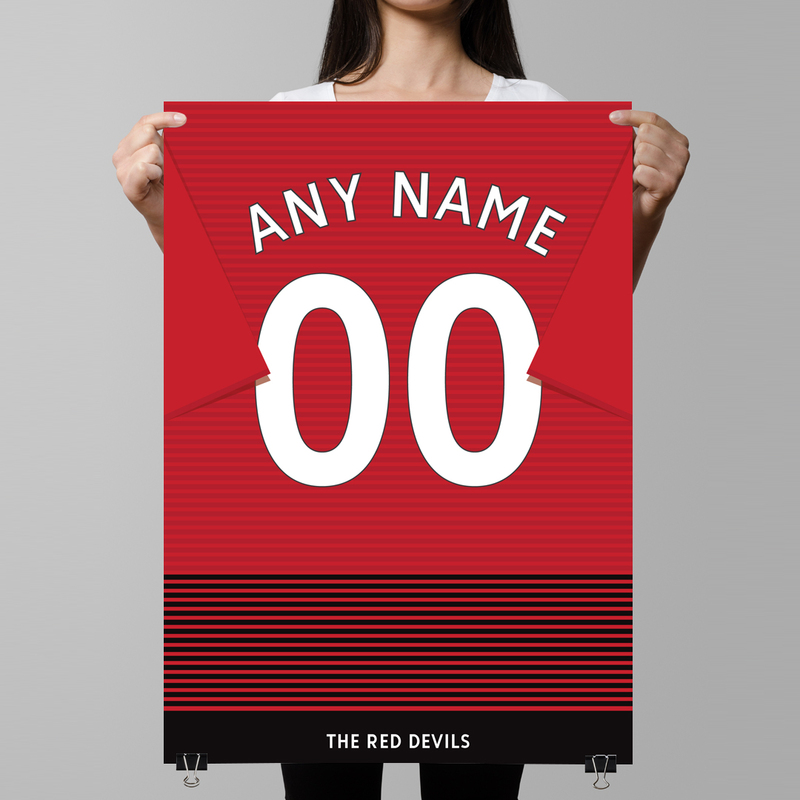 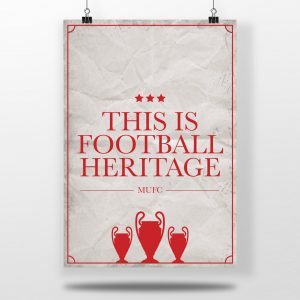 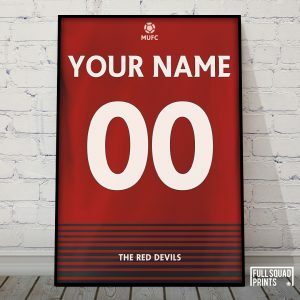 Personalised Man United shirt print - GET 20% OFF TODAY! 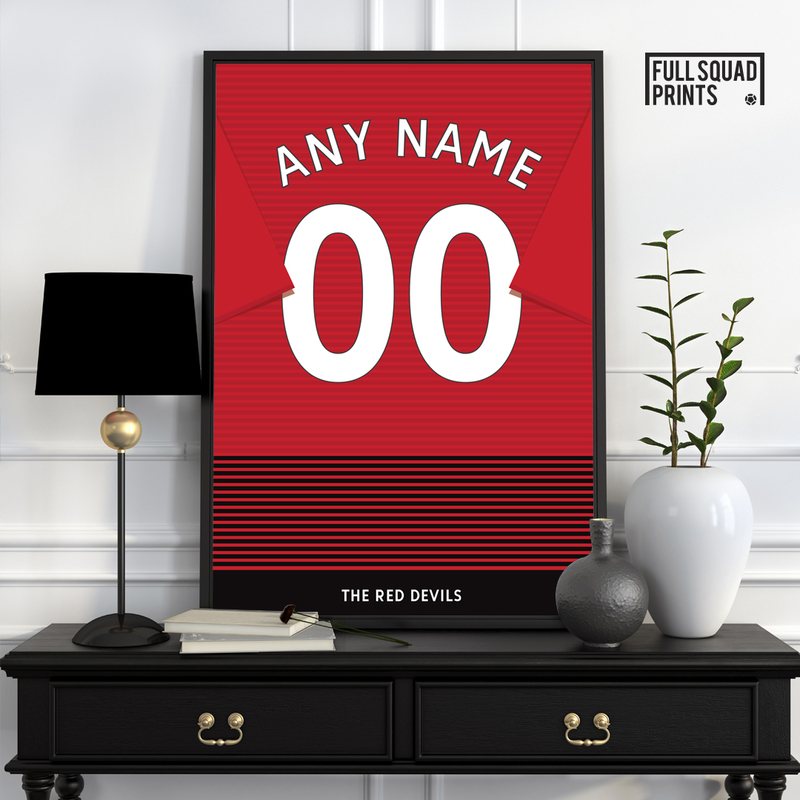 Our Personalised Man United Football Shirt prints make for a great addition to any Man United fans bedroom, office or man/woman cave. 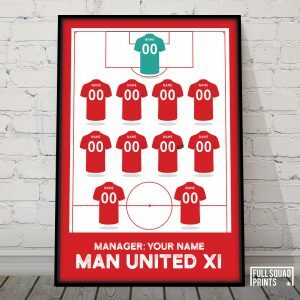 If you cannot find your team on our website please get in touch via our email as we are more than happy to take team requests.